Start Here! How To Apply. Connect with other veterans and families who are also filing to receive their benefits. Check out our forums! 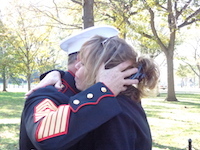 For the latest news affecting senior veterans, head on over to our blog. Debbie Burak is the founder of VeteranAid.org. She is often asked why she took on the mission to educate our veterans and their families about a little known VA pension benefit referred to as "Aid and Attendance" that can help offset the costs of care for senior veterans and their widows. about the VA pension her Dad as a WWII veteran would have been entitled to. 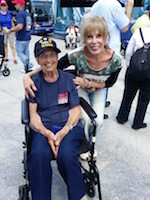 Debbie knew that she had information that could make a difference for others who were just now setting out on this journey of caring for an aging loved one, and so VeteranAid.org, a 501 (c) (3) non-profit, was founded in 2005 to bring to light the VA’s Aid and Attendance Pension Benefit. Debbie Burak is respected throughout the Eldercare industry for her tireless efforts acting as a Veteran’s Advocate, and is currently working with Congressional representatives to rewrite legislation that will help allow veterans better access to entitlements and benefits. "My hope is that I can make a difference for someone else while paying honor to those who make the sacrifice and pay the price for our freedom." 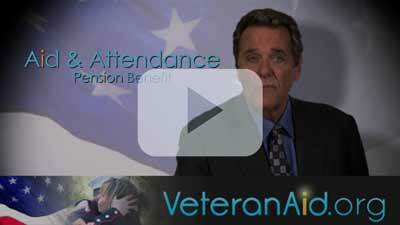 Today VeteranAid.org is no longer a nonprofit but has continued its mission to assist veterans and their families with the Aid and Attendance benefit application process. We know the VA's website can be confusing and difficult to navigate so we have tried to make the information on VeteranAid as clear as possible. In addition to all the information one would need to apply for the Aid and Attendance benefit, VeteranAid.org also offers resources to help seniors and their families find the right senior living service that is right for them. Because you have to be paying for senior care in order to apply for the Aid and Attendance benefit we hope you will utilize these free services from A Place for Mom if you are looking for senior care options. The We Salute Veterans Campaign was created to acknowledge businesses and organizations who have joined the mission of VeteranAid.org to inform and support our nation’s veterans and their families. This badge is awarded after review of application of a business or organization. In 2017 we currently have over 100 businesses who have obtained the badge. 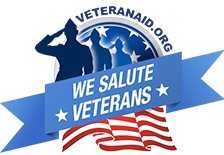 To apply for the We Salute Veterans Badge to be displayed on your website, please fill out the form below. We thank you for your support as we continue to salute our veterans for their service. Please fill out this form to apply for a badge for your business.